Most students are willing and able to bring their own technology to class, but in most cases, the teachers restrict usage. In a few noted exceptions, teachers encouraged student usage of personal electronics. In these situations, students commented about feeling more engaged and connected with the lesson, and with their classmates. Students are eager for 1:1 implementation, but many had reservations regarding responsible use, distractions, and security of the device at home and at school. 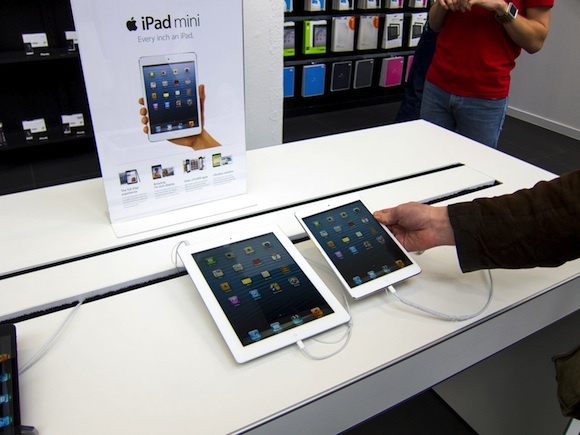 Although the iPad seemed to be the most popular choice for a 1:1 device, many students did not articulate functional reasons why it was there choice. Typical reasons included; familiarity with iOS (iPods / iPhones), coolness, battery life, fast log-in & shut-down, and convenient size and weight. Nearly all students did not feel a keyboard was necessary to be productive with the iPad. Most students viewed the iPad as a tool to eliminate textbooks and / or for taking notes in class. About 3/4 of the students questioned and observed used Gmail for their email communication. No one admitted to using their district email account, and a few non-verbal cues suggested, "Are you serious?!? ", when asked about their district email usage. Yahoo and Hotmail were also mentioned. We observed several students using Edmodo. They liked that this social network helped them stay connected with their teachers and their class. They also commented that Edmodo helped with their class organization and preparation, and they liked that it looked like Facebook. Most students that we talked to did not see video games as viable educational tools, nor learning experiences. Nearly all of the students that we talked with thought that their educational experiences could be improved with technology. A few suggested that technology immersion was preparation for the "real world". As is the case with the adults in our school, many folks don't know what they don't know. Meaning, that most students agree mobile technologies would enhance their educational experiences and their learning. However, nearly all of the responding students did not take the concept beyond traditional classroom practices. Professional development for our teachers is critical to leveraging future 1:1 devices for more than just note-taking and reading text. Creative problem solving and presentations are proven best-practices in successful 1:1 initiatives. Students need to be instructed in methodology for creation and composition using technology. Most students we talked to today put themselves in the role of information consumers, not producers. Surprisingly, not all students have internet access at home. High speed internet access needs to be available, if not provided, to all of our students and their families. Most of the students we talked with today would be surprised to know that recent research supports the idea of at least some video games providing valuable learning experiences and higher-order thinking opportunities. Nearly all of the students that we met with today were polite, thoughtful, and helpful. We were grateful for their time and their willingness to share their thoughts.